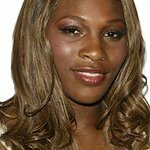 Professional women’s tennis player who has won seven Grand Slam singles titles and is a former World No. 1. Serena Williams is a UNICEF Goodwill Ambassador. In January 2010, Williams announced UNICEF's new Schools for Asia campaign to educate Asia’s 26 million marginalized children in the countdown to the Millennium Development Goal deadline of 2015. Google trends for "Serena Williams"